An ingrown nostril hair occurs when nose hair is trimmed or tweezed. An ingrown nostril hair that grows curves back into the skin after being trimmed. This is considered an extrafollicular penetration, the Mayo Clinic says. An ingrown nostril hair that grows through the wall of the hair follicle is considered a transfollicular penetration. An ingrown nose hair causes pain in the nostril because of the irritation the ingrown hair causes in the nostril. As the ingrown hair grows into the skin or through the hair follicle, the area becomes red and inflamed. The area may look like a pimple. The inflammation in the area may cause the nostril to appear red and swollen on the outside. Treating an ingrown nose hair is similar to treating any ingrown hair. Applying a warm compress inside the nostril directly onto the ingrown hair and one on the outside of the affected nostril can encourage blood to flow more to the area and speed healing. Also, you can use a towel to gently rub the skin around the ingrown hair in an effort to tease the hair out of the skin. Infection is a concern when you have an ingrown nose hair. The nose is one of the most common locations of staphylococcus aureus, the bacteria that cause a staph infection, according to the Centers for Disease Control and Prevention. Because of this risk, avoid scratching at the ingrown hair so the skin doesn’t get broken. Additionally, apply an over-the-counter antibiotic ointment to the inside of the affected nostril to minimize the risk of getting an infection. The only sure way to prevent ingrown nose hairs is to avoid trimming the nose hair altogether. If this isn’t possible, minimize your risk of an ingrown nose hair by cleaning your nostrils before trimming the hair and using an electric nose hair trimmer. 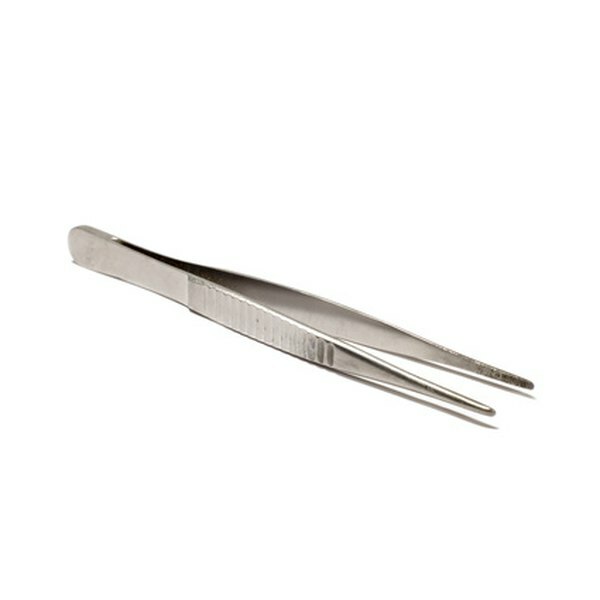 Using tweezers to remove nose hair may result in embedded nostril hairs, which are ingrown hairs that grow through the hair follicle and don’t actually breech the skin. If you get ingrown nose hairs each time you trim your nose hair, make an appointment to see your doctor. Chronic ingrown hairs may require prescription treatments. You should also seek your doctor’s advice if you notice that the affected nostril is warm to the touch, extremely tender or if you start to run a fever. These are signs of an infection that may require prescription antibiotics. What Are the Red Bumps on My Inner Thigh Growing Around? What Are the Dangers of Nose Rings?